I am sure that you have heard the news about many companies and municipalities making the decision to ban plastic straws. In fact, some of you may have heard about it because of me. Recently, I was interviewed by one of our local news stations to provide my thoughts on these types of corporate and governmental policies as a man with a disability who uses plastic straws to drink. I appreciate the opportunity and the platform to be able to share my thoughts on this policy matter, but I have a lot of thoughts on this issue, and some of them bear much more explanation than would be appropriate for a TV news clip. First, let me set something straight before you make ridiculous accusations about the case I am about to make. I am not clinging to plastic straws out of some kind of desire to watch our world burn and wildlife die. I am all for an acceptable alternative to the plastic straw that meets the needs of individuals with disabilities. While some will argue for perhaps metal or paper straws, those options are not acceptable for separate reasons. For more detail, I would refer you to this Facebook post made by Disability Rights Washington that emphasizes some of these shortcomings. However, I just want to clarify that as we talk about this issue, I am not trying to burn down the planet. Even in my own life, I have a water bottle at home with a reusable plastic straw that I use all the time. I am not opposed to these solutions but rather am opposed to a broadbrush policy by corporate or governmental entities that doesn't take into account the needs of the disability community at large. Find me a suitable alternative to the plastic straw, and this issue goes away as far as I’m concerned. An option with at least the same if not better functionality with less negative environmental impact is a good thing in my book. With that issue out of the way, let’s talk about the types of bans that are being implemented. First, corporations like Starbucks (who is apparently backpedaling), McDonalds and Marriott are making the business decision to eliminate plastic straws. While I do not agree with this, as a consumer, I know if I go to a restaurant that does not use plastic straws at all, I know what I am getting into by dining at that establishment. As a parallel example in my own life, I also bring my own silverware when I go to restaurants. Because of my reduced muscle strength, it is difficult for me to lift heavy silverware, and many restaurants seem to have extraordinarily large forks. Therefore, I know what I am getting into, so I bring my own. While it is not ideal and I wish that they had silverware that was more conducive to my own physical strength, by going out into the public business, I know that their policy is to have a certain brand of silverware. Similarly, if they simply do not have straws, I know that going into it. It is possible to make the argument at this point that it is unreasonable for me to know the plastic straw policy of every restaurant before I choose where to eat. Especially if I’m on vacation, how would I possibly know such things about restaurants that I may not even know I am going to be eating at until I am on the road and thirsty? This is certainly a reasonable concern, and one I am certainly sympathetic towards. That being said, it is simply a reality that the world is not always conducive to people living with disabilities. That is the hard truth as much as we may wish it to be otherwise. Consequently, this is the exact reason I always travel with my own plastic straws. If you watch the video of me linked to above, you’ll see me with a Ziploc bag of straws because I never know when I might need them and they are not available. I know that my conclusion here is not going to make some people happy, but I at least know up front when a place like McDonalds says that they are eliminating plastic straws, I know that if I want to use one, I need to bring my own. Is it ideal? Certainly not. Is it justified? I don’t think so (more on this point later). However, short of a government mandate that would run directly contrary to these policies and mandate that any drinking establishment provide plastic straws, these bans do not worry me quite as much simply because I have the ability to be aware and plan ahead. Part of my life is always planning ahead for places that will not be as accommodating as they ought to be. It is a bad corporate policy that I disagree with, but it is not my largest concern. The second type of ban that is being implemented is governmental. The city of Seattle for example has banned plastic straws but has also implemented a one-year waiver allowing for restaurants to provide customers with plastic straws upon request when medically necessary. Other cities around the country have begun to implement these types of policies as well, and as far as I have seen, most of them have similar waivers for allowing straws to be provided for people who have medical necessity. The interesting exception to that is Santa Barbara, California who does not have a provision in their policy that would permit restaurants to provide plastic straws based on medical necessity automatically. Therefore, if I was going to be traveling to Seattle for example, I should be able to go into any restaurant and receive a straw upon request. That seems reasonable. However, take a look at this material provided by the city of Seattle to restaurants. They do not mention that these types of exceptions are permissible and that it may be a good idea to have a stock of straws for these types of situations for people like me. They emphasize the banning of the straws without mentioning that there are important situations where they are permissible and legal. Therefore, you have to wonder how many of these restaurants are actually going to carry that inventory. After all, they have been receiving this literature from the city that plastic straws are now illegal without realizing that they could have them for certain consumers. Therefore, if I go to Seattle, assuming I can get a straw, I think the probability is very high that restaurants are not going to have them. Maybe my assumption is wrong, but if I was the restaurant owner who was presented with this literature, I would not have plastic straws in stock. After all, the city has told me I cannot use them, so what would be the point? I may even want to be as accommodating as possible to my patrons as a responsible business owner, so I might want to have straws for people who rely on them to hydrate, but this notice certainly does not let me know that I have that option as a business owner to continue assisting my customers with disabilities if I choose to. It does not inform the public of the option even though it exists. In that case, the option to provide straws based on medical necessity might as well not exist. Now, consider the situation I could find myself in. I am in Seattle, and I assume that, because I have medical necessity, straws will be available for me. For people who are not like me personally and do not always travel fully prepared, it is reasonable to assume that straws will be provided because of the city ordinance that allows this exception. However, if my argument above is reasonable, I might find myself somewhere where I don’t have my own straws and, even though I am allowed to have one provided by the restaurant, the restaurant simply does not have them in their inventory. They had been told they cannot have them, and I would not hold that against the restaurant owner. After all, they are abiding by the law of the city they live in. How can they know about an exception that is barely presented to them? I don't think that is on the business owner by any means. Governmental straw bans are different than businesses who decide not to provide them because one I know about ahead of time and still make a choice to attend that establishment. If I go to a Marriott hotel in the future, I know that they will not provide me with a plastic straw. Maybe I don’t like it, but I know and can plan accordingly or make a different choice of the hotel that I stay in. With the city that technically allows them for me like Seattle, I could find myself in difficult situations because, in practice, the policy discourages restaurants to even have straws and inventory who therefore very well might not have them if my suppositions are correct. There is no mandate that they have to have plastic straws for people who request them after all. With corporate and governmental bans being enforced, what is the better solution? Assuming that no one absolutely wants to unnecessarily harm the earth, what are we to do? Before getting to that point, it is important to realize that there is substantial question as to whether or not the banning of straws will have any type of serious environmental impact. The often cited example that 500 million straws are used every day is based on a questionable statistic discovered by a child who was nine years old at the time. It is far from a precise number. Beyond that, I would also point out that straws are a very small portion of any of our pollution problem on this planet. I understand those people who would consider any pollution as something that ought to be eliminated. I can sympathize with that, but let’s be honest. This is a popular topic because environmental activists want a victory, and the fact that this is a topic where they thought no one would push back. There are many more severe issues that could be taken into consideration and change our environment for the better, but those who take substantially more effort. The commercial fishing industry for instance is the chief pollutant of the ocean (perhaps unsurprisingly). Why are we talking about banning plastic straws because they are ruining our oceans without focusing on more severe issues? Quite frankly, someone has calculated that banning plastic straws is an easy victory. As Emily Conrad of the Anacostia Watershed Society said, “Plastic straws are really kind of like the gateway to rethinking about single-use plastics.” The strategy is to get people thinking about environmental issues and make them feel like they are making a difference in the environment when they really are not doing anything significant. It is important for fundraising purposes as well as organizational mission statements. To reiterate my statement from the beginning, I am certainly not anti-environment. I am all for finding an alternative to a plastic straw that provides no reduction in function while creating less pollution. We all can agree on that. However, while that solution is being worked on, let’s not deceive ourselves by thinking that plastic straws need to go or else our planet is going to die. There are substantially larger issues that we should be dealing with if our concern is actually making a difference in protecting the environment rather than what the article from Grist refers to as slacktivism. That being said, reducing our environmental impact, even by a little bit, is a good thing, and providing access and options for consumers with disabilities is also a good thing. First of all, I think governmental bans need to go. The government is supposed to enact policies that work for the benefit of its constituents. As a proponent of relatively little government intervention, unless there is a substantial reason to ban a particular activity, I don’t see the necessity of making that policy restricts a certain activity. The evidence does not seem to be there that plastic straws are the major cause of global pollution, and it apparently has a relatively small impact on the environment. Therefore, I don’t know that this type of heavy governmental intervention is serving the interests of its constituents. It seems to be providing greater harm by interfering with the lives of people with disabilities than the benefit it is causing by banning something with what seems to be a rather small environmental impact in the grand scheme of things. As far as corporate bans, they also need to go, but it is for a different reason. I do believe a business has the right to do what they want. That being said, in the interest of serving the public, I think it is in the interest of the business to provide a usable option to broaden their customer base. It makes business sense to me to offer plastic straws. Why would I make a business decision that carries a relatively low-cost (purchasing straws) but can drive customers away that would generate more than enough income to pay off that cost? As a business, we don't want to lose customers aside from the entire morality of the situation. However, in the interest of reducing environmental impact wherever possible, why not implement a simple policy, like many restaurants have, that plastic straws are only available upon request? This seems to be a reasonable compromise. 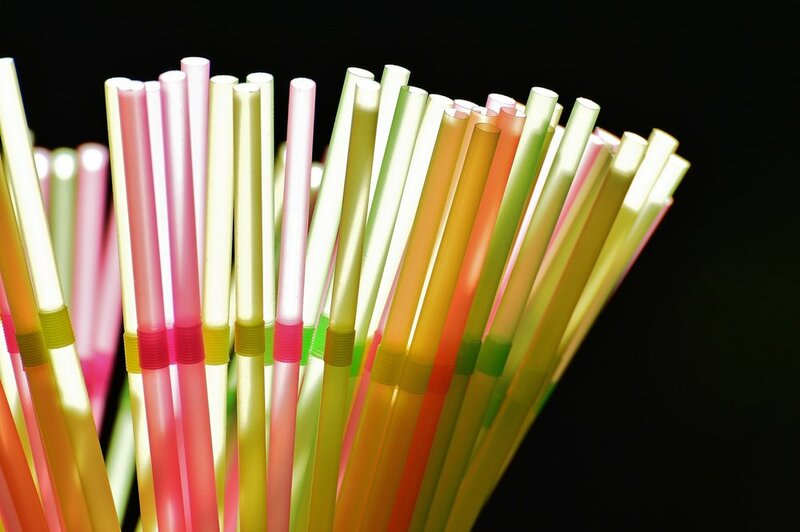 Consumers who need these straws have access to them, and since many people will not request them given that they often times do not want them in the first place, the impact of pollution will be substantially reduced. If you wonder if this proposal might work, Marriott began only providing straws on request, and only 20% of people actually wanted them. That is a substantial reduction. Granted, they are using paper straws rather than plastic which is not ideal, but I think you can see that this type of policy is effective at meeting the needs of people while simultaneously reducing the environmental impact of straws in general. At the end of the day, in my opinion, people who are advocating for banning plastic straws are largely virtue signaling. How do I know this? The new lids use more plastic than the old lids and straws put together. Albeit these lids are going to be using compostable plastic, but they could and apparently are going to be using straws made out of compostable plastic anyway, so this announcement really could have been simple that they were changing the composition of their straws. It would not be ideal because of the concerns many disability advocates have about the material straws are made out of as I mentioned earlier, but looking at Starbucks directly, this is a PR move 100%. In the interest of being environmentally friendly, they are putting forward a project perceived by many to be more environmentally friendly by using more plastic than they were using before. This is nothing but spin and virtue signaling to get applause from environmentalists who watched a viral video one time and are convinced that plastic straws are the greatest evil in the history of the world. They want to believe they are doing something to help the environment, so they see this as a way to target something they believe is uncontroversial. However, in the grand scheme of things, they are causing more harm than good. Let’s continue working towards a better solution with less environmental impact, but in the meantime, environmental activists, please take your fight to things that actually cause a substantial impact on the environment rather than picking a rather insignificant offender just so you have a cause to fight for. You are causing more net harm by impinging the quality of life of people with disabilities than the increased quality of life derived from a product with a small net environmental footprint in and of itself.